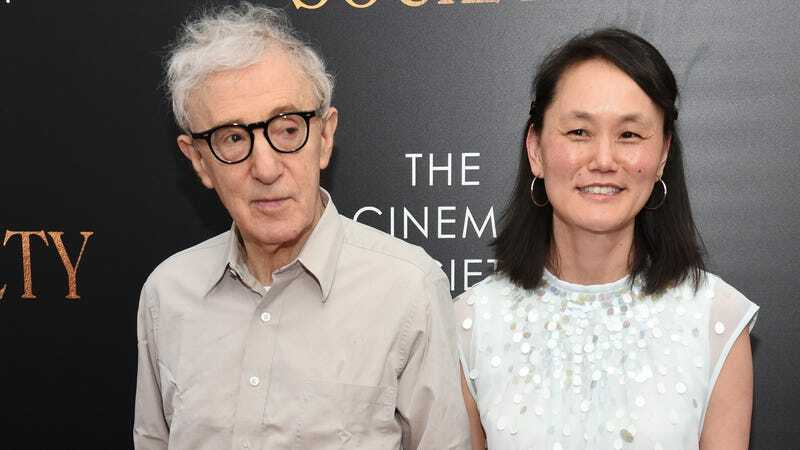 On Sunday evening, New York magazine published an interview (of sorts) with Soon-Yi Previn, in which, among other things, she defended husband Woody Allen against claims he abused Dylan Farrow and claimed Mia Farrow repeatedly abused and neglected her adopted children. Soon-Yi also says she and her adopted sisters were used as “domestics,” while Farrow kept busy rearranging the furniture, ordering from catalogues, working on her scrapbooks, and talking to her friends on the phone. The abuse Previn details is incredibly disturbing. But it is noteworthy that the profile was written by Daphne Merkin, a longtime friend and fan of Allen’s. She is also the author of a January 2018 New York Times op-ed that argued the #MeToo movement posed a return “to a victimology paradigm for young women.” That same skepticism toward #MeToo is evident in the New York magazine piece, which asserts Allen is himself a victim of the #MeToo movement. Both Previn and Allen allege that Farrow fabricated the 1992 claim that Allen molested Dylan Farrow (who was seven at the time) as a way to get back at Allen for having an affair with Previn. “I was never interested in writing a Mommie Dearest, getting even with Mia—none of that,” Previn said. “But what’s happened to Woody is so upsetting, so unjust. [Mia] has taken advantage of the #MeToo movement and paraded Dylan as a victim. And a whole new generation is hearing about it when they shouldn’t.” Allen, who appears to be with Previn for some of her interview, calls himself a “pariah,” though the interview concludes with a description of the couple’s packed social schedule (“She fills the social calendar for six weeks in advance,” Allen tells Merkin). Jezebel contacted New York magazine for comment and will update if we hear back. This is a story about Soon-Yi Previn, and puts forward her perspective on what happened in her family. We believe she is entitled to be heard. Daphne Merkin’s relationship to Woody Allen is disclosed and is a part of the story, as is Soon-Yi’s reason for speaking out now. We hope people will read it for themselves.